I’ve been working on my own cover in my spare time (wait…what’s spare time?) for a new miniseries that I have not officially announced yet! The book will be released before Book 2 of the ShadowLight Saga. 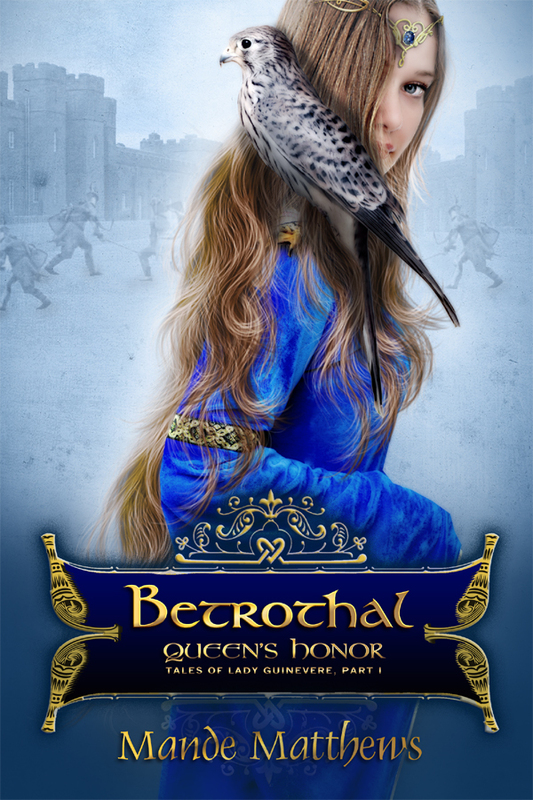 It’s entitled, Betrothal – Queen’s Honor: Tales of Lady Guinevere, Part 1 – A YA Fantasy Romance retelling of the Arthur/Lancelot/Guinevere love triangle from the point of view of a young Guinevere. So, I’m sharing the cover design here first. Shh…don’t tell my alter ego, Mande Matthews. She’ll be upset I didn’t announce it on her blog first. Hair stock is courtesy of the fabulous =Dezzan Stock!